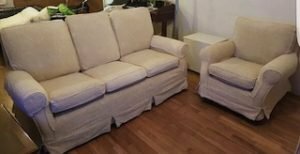 House Clearance Service In All Areas Cleator Moor Cockermouth Kirkby Stephen Egremont Frizington Holmrook Keswick Maryport. I have had house items toys/wood from old kitchen/carpets/plastic sheeting from previous tenant. Added to this is plastic shelves/small metal table/portable/old pc computer and portable and plastic chairs at the back wall of the loft. All this i have put into the center of the loft for a removal. Could you also arrange to clean the full property and remove a few large items of furniture from downstairs, thank you in advance. 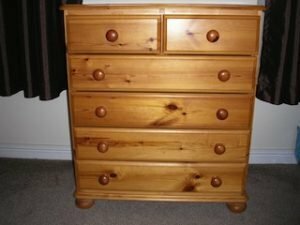 A tall solid pine chest of drawers on ball feet, having two small over four large drawers. 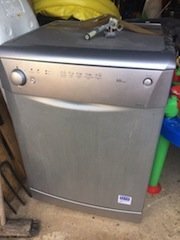 A silver Beko under counter dishwasher. A three seater high back sofa and matching armchair, upholstered in cream cotton fabric, with curtain detail to the bottom. 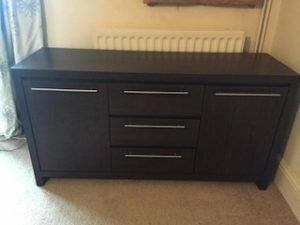 A solid dark wood large sideboard with chrome handles, having a single cupboard to either side of three central drawers. 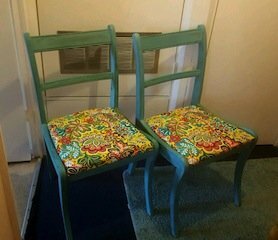 A pair of painted green solid wood dining chairs, upholstered to the seats in colourful floral patterned fabric. 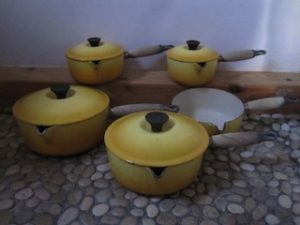 A set of five mustard yellow Le Creuset pans, comprising four lidded various sized saucepans and an un lidded sauce pan, all with solid wood handles. 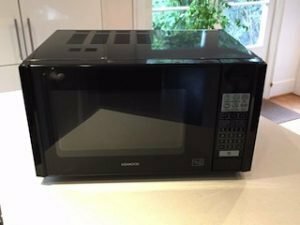 A high gloss black Kenwood 20l microwave oven. 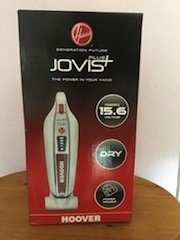 A brand new boxed Hoover Jovis Plus 15.6V handheld vacuum cleaner. 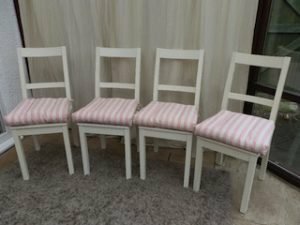 A set of four hand painted white, solid wood dining chairs, upholster to the seats in red fabric, with four striped patterned removable cushions. 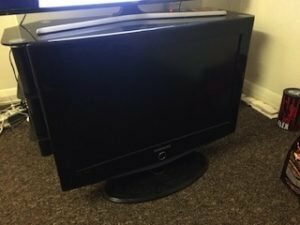 A black Samsung 22 inch flat screen smart television. 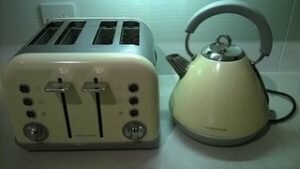 A cream and stainless steel retro style Morphy Richards kettle, together with a matching four slice toaster. 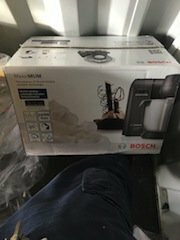 A brand new boxed black and stainless steel, Bosch MaxxiMum multi function kitchen machine. 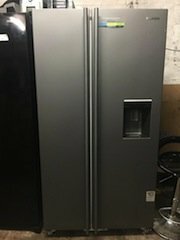 A tall standing silver Samsung two door American style fridge freezer, with built in water and ice dispenser. 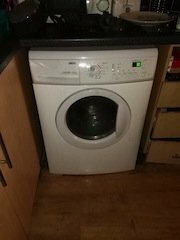 A white Zanussi 8kg 1200 spin under counter washing machine. 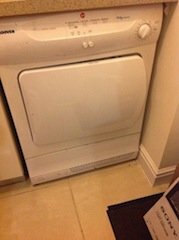 A white Hoover 7.5kg under counter condenser tumble dryer. 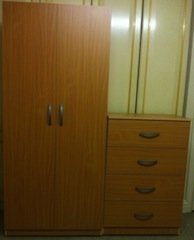 A tall solid wood double wardrobe, together with a matching chest of drawers.